Jesus has perfectly revealed to us the nature and character of God and puts his glory on display. It is the story of who Jesus is that allows us to truly understand the goodness of God and to have a true relationship with him. There are many evil things that are "glorified" in Hollywood films, but the reality is that Jesus Himself is the KING OF GLORY (Psalm 24:10) - and because we are convinced of this truth, we are devoted to ONLY glorifying Jesus Christ as the "main point" in each of our films. We seek to structure each story we tell so that Jesus Christ is the "hero" and the ultimate purpose of every film. We know that there is only one solution to the thousands of issues the plague the human soul. God has not given to mankind a variety of principals, methods or solutions to heal the brokenness the exists inside every heart, but rather He has given Jesus as the ONE THING which solves the thousands of things that come against us (Psalm 27:4, Luke 10:41-42). It is in Him that we find forgiveness and healing from the diseases of our sins, receive redemption and salvation from the pits of death, despair and hopelessness, and experience satisfaction for the deepest longings of our souls (Psalm 103:1-5, Psalm 16:11, John 6:53-58). We believe that this is not simply a "theological doctrine," but a true reality that has immeasurable implications for every person. We strive to have Jesus as the very substance that holds each of our films together (Colossians 1:17). In Christ, God has fully communicated himself to mankind. And so we seek, as Paul and the apostles did, to have Jesus at the core of each of our films. It is Him that we seek to preach (Colossians 1:28). Our hope is that our films will be instruments through which the Lord gives a revelation of his goodness, glory and beauty. We want anyone who is in any form of darkness to come into the light of knowing him. A true knowledge of God's goodness, glory and beauty is the power that enables love and worship for him. We desire that our films produce worship for God which fulfills the greatest commandment (Mark 12:29) and produces repentance, faith, edification and equipping. The end goal of our ministry is that unbelievers come to faith and that the church be built up into Christ, so that the kingdom of God is furthered and the name of Jesus is made great for the glory of God. Great Light Studios is the ministry of Jordan and Faith Hatfield. 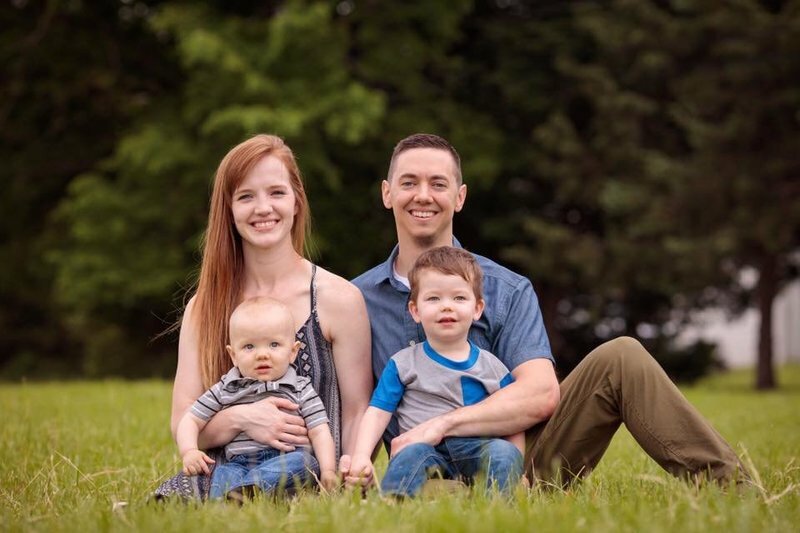 Jordan and Faith live in the Wichita, Kansas area and have 2 boys, Jonah and Nehemiah, as well as another baby on the way. Both Jordan and Faith have always felt a call to build up and equip the body of Christ through teaching the word, encouraging and exhorting individuals. Their heart is to see people set free from darkness and brought into the light and life of Christ. Your financial support provides for their monthly living expenses as well as funding each film project. We freely distribute everything we produce and rely entirely on donations. Consider partnering with us today to help us continue to share the Gospel through films and teaching resources.